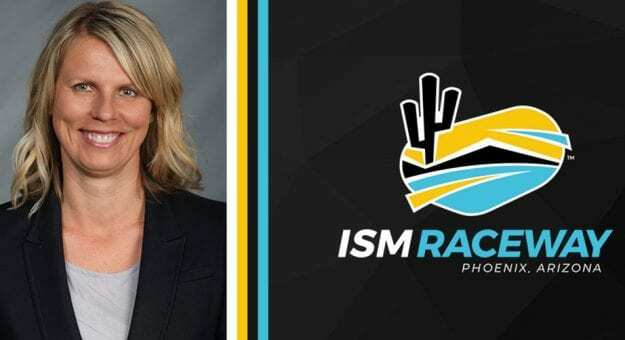 International Speedway Corporation (“ISC”) today announced that Julie Giese, Managing Director of Business Operations for ISC Design & Development, has been promoted to President of ISM Raceway. Beginning in November 2018, Giese will assume oversight of promotion and operation of the all-new ISM Raceway. Giese’s first major event, the Can-Am 500, will be part of the Raceway’s Opening Weekend on Nov. 9, 10 and 11. Currently, she leads the coordination between ISC’s 13 motorsports entertainment facilities, internal corporate departments and the Design & Development team on the Company’s significant capital investment and redevelopment projects. Since January 2017, Giese has worked tirelessly alongside the ISM Raceway team on the design and project management of the $178 million ISM Raceway Project Powered by DC Solar. Joining ISC in 2001, Giese has taken on roles with increasing responsibility, from Director of Public Relations at Watkins Glen International to Vice President of Marketing and Communications at Daytona International Speedway where she spent 12 years overseeing all aspects of consumer marketing, branding, creative, advertising, digital, public relations and event entertainment for the “World Center of Racing.” Giese played a leading role in the DAYTONA Rising project, managing the marketing and branding of the redevelopment as well as the opening of the all-new Speedway.